Atomos NINJA V stealthy, 5-inch, 4Kp60 10bit HDR daylight viewable 1000nit portable monitor/recorder. 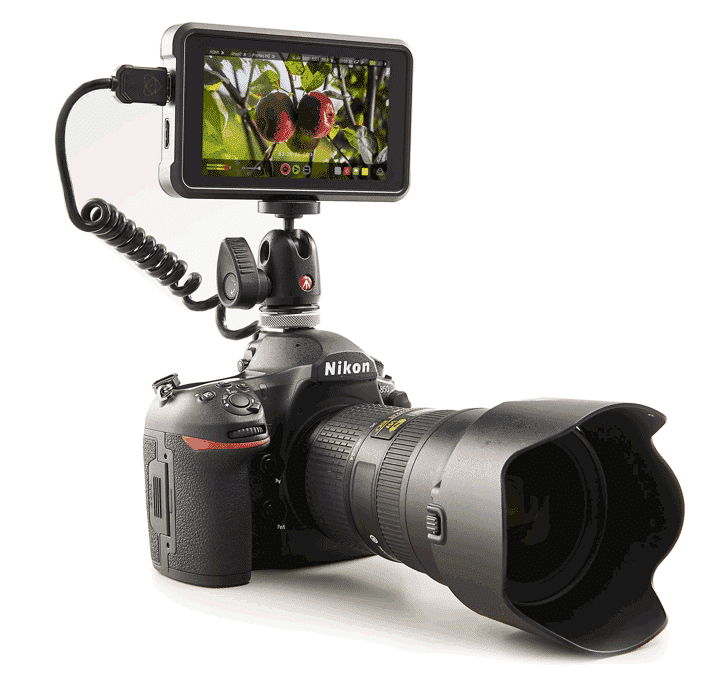 Perfect for Mirrorless, DSLRs and Gaming. 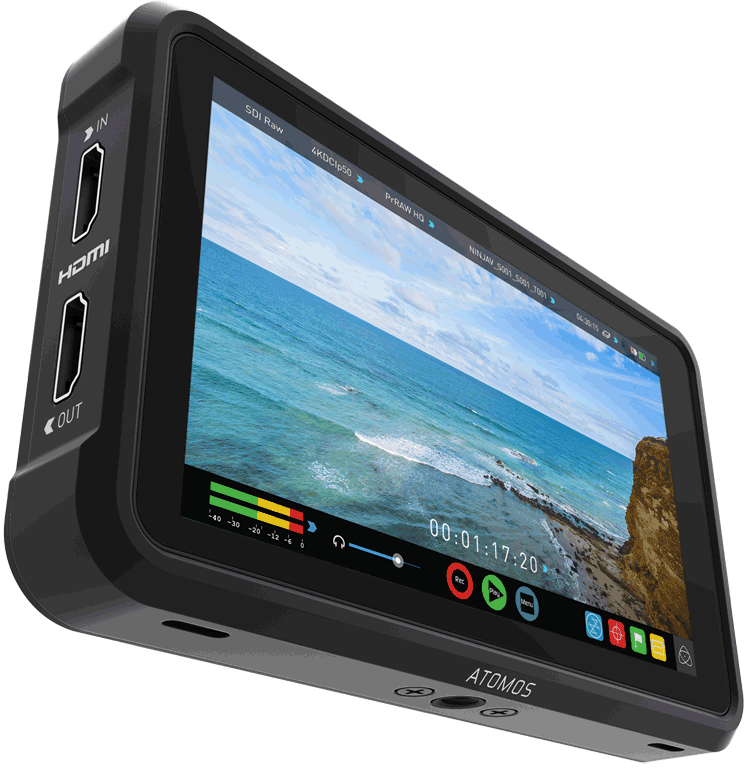 The Atomos NINJA V stunningly bright 5.2-inch 10-bit HDR monitor has an astounding 1,000 nits of output. 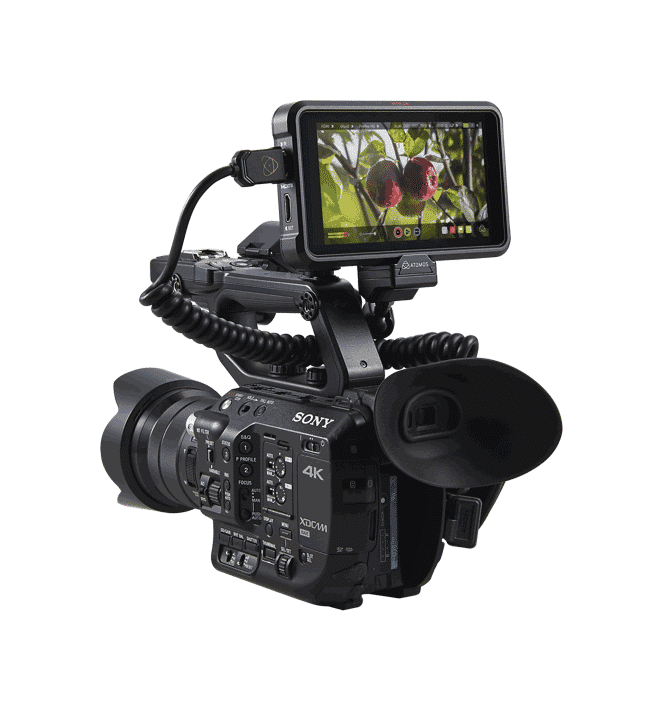 It’s a sleek 1” (2.5cm) aluminium body, is crafted for maximum durability, weighs in at just 11oz (320g), and attaches to any camera rig easily. 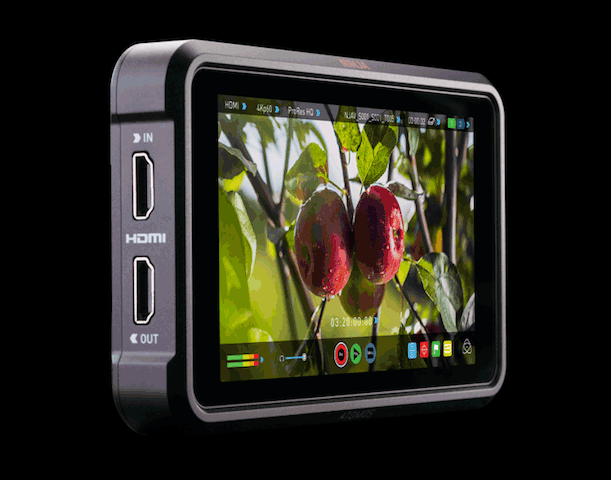 The Atomos NINJA V screen displays a stunning 10+ stops of dynamic range in realtime from Log/ PQ/HLG signals. Clearly see your images in daylight on the near edge-to-edge anti-reflection screen. The display can be calibrated for perfect color accuracy every time, with playout to HDR or SDR TV sets. Atomos NINJA V 4kp60 or HDp240 Game Recording just became fun and simple from any HDMI gaming unit. Place the Ninja V in-between your unit and the TV, and record for hours to off-the-shelf SSD drives. Auto HDR flags mean perfect TV set up every time! Show off your skills or check your game development on the most stunning video recorder ever built! Enhance the Atomos NINJA V through the in-built modular expansion slot. Bi-directional high speed video, audio and power are available. Expansion modules will dock onto the battery slot of the unit and offer advanced features.